Family Ties Tied to Nutrition? It's a new year, full of 'resolutions' to lead a healthier, happier, fuller life. In the diet world, that often means militantly cutting out things like carbs, chocolate, gluten, whatever. Alas, there will be no speculating on that nonsense... Well, not today. Instead, let's focus on something to add, rather than subtract. A slew of research shows children whose families eat dinner together have healthier diets. Is it possible the simple act of eating with your kids is a better investment than a 5lb tub of gummy multivitamins from Costco? I know it's early to be beating up on multivitamins, so let's talk family loving and eating. A new study went beyond just dinner, they investigated breakfast too. Almost 2,800 students (average age 14) were asked how often they ate breakfast with their family in the past week (Table 1). It's a little alarming, to me anyway, that over half of the students never ate breakfast with their family. 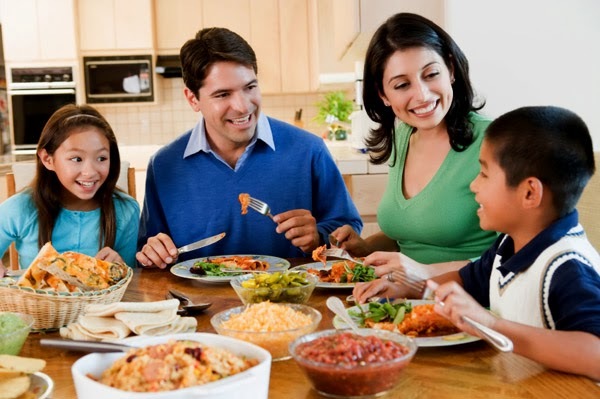 The study found black, Hispanic, Native American and mixed ethnicity families ate together most frequently, compared with white and Asian families. 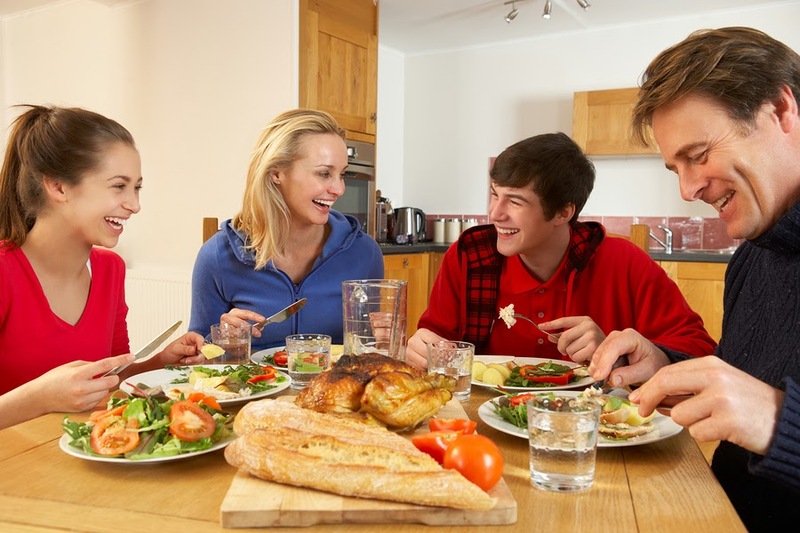 Socioeconomic status also impacted family eating habits; higher status was associated with eating together more frequently. Dinner togetherness wasn't quite as bleak (Table 2). But why is this so important? Here's why: The research found that children who ate breakfast with their families had higher quality, and more nutritious diets. What does this mean? 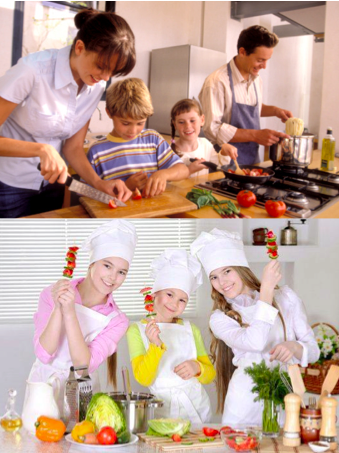 Frequently eating breakfast together translated to kids eating more fruits, vegetables, milk products and whole grains. 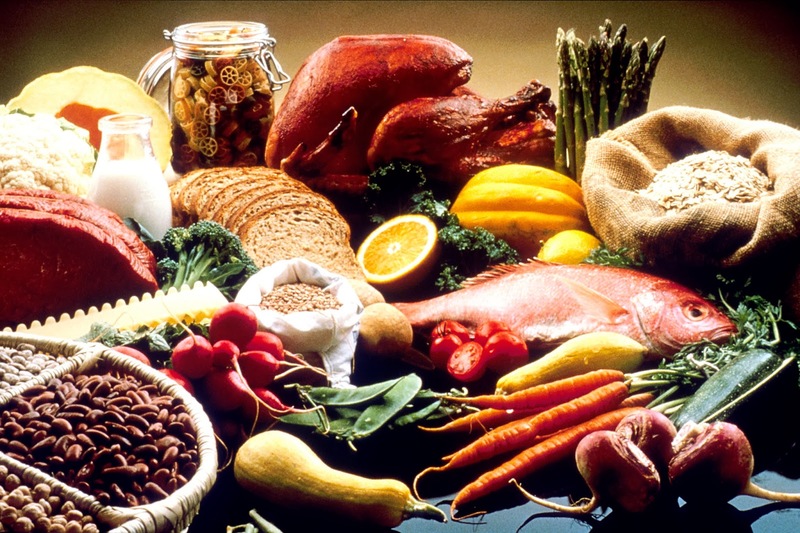 This meant a higher intake of iron, calcium, vitamin D, folate, potassium and fiber. But wait, there's more: Those kids also drank significantly fewer sugar sweetened beverages and had a lower prevalence of overweight/obesity. Now that's something to write home about. Another study investigated attitudes of single-headed and dual-headed households towards family meals. Pretty much all parents identified family meals as important for strengthening relationships, communication and providing routine and structure. The bottom line: Colourful gummy vitamins, protein bricks and unicorn miracle juices are one option, but science shows investing some time is more effective at cultivating a healthy family. Planning the weekly menu, preparing parts of the meal (chopping veggies, measuring rice, etc), setting the table - Skills for life!